A world-class and highly sought dancer & instructor, Ari is well-known for his fun, energetic, and delightful classes that can't help but inspire students with a love and passion for dance, and for his clear, articulate teaching style and ability to break down the most complex concepts and moves and made them accessible and easy to understand by all. He has been teaching, performing, and DJ’ing nationally, and internationally for over 25 years, in over 100 cities, and 40 countries, including staff instructor for Richard Powers Waltz Week’s at Stanford University during the last years of its existence. In addition to “Waltz Fest NW”, he is the co-founder and director of “Waltz Week in Vienna” (Vienna), “Snowflake Blues” (Vienna), “Mexico Dance Week”, “New Zealand Dance Adventure”, “Harrison Hot Springs Dance & Spa Retreat” (B.C. ); “Jumpin’ At The Woodside” (NY), “Heart Sound Fusion” (Whidbey Island), and is highly regarded as one of this country's leading innovators and instructors in the areas of cross-step waltz, night club 2-step, social dance fusion, connection & the art of effortless movement and flow (the "language" of dance). When not dancing, Ari is a physician on faculty at Singularity University in their “Exponential Medicine” track, and is a pioneer in the burgeoning field of “Experiential Wellness” which, among other things, uses dance movement, technique, & connection as a modality for diagnosing and treating patients. Alyssa’s passion for dance has developed through performing, learning, competing, and teaching partner and solo dance for over 20 years. Her multifaceted experience includes extensive training and national awards in ballroom dance, additional work in hip hop, swing, jazz, and blues, as well as dabbling in many other styles. She especially enjoys the creative expression that comes from combining these varied dance forms in fusion dancing. When not on the dance floor, Alyssa is working towards discovering new cures for widespread neglected diseases at the Infectious Disease Research Institute of Seattle. 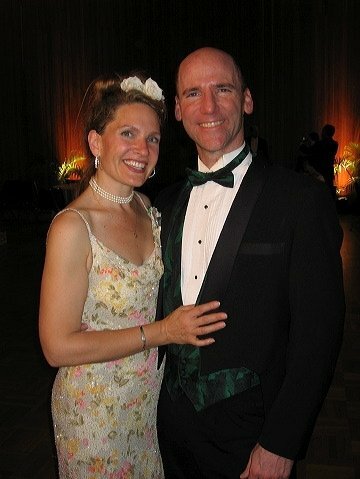 Former shortstop Dean Paton abandoned the baseball diamond for the dance hall in 1994, and fell so hopelessly in love with waltz that he founded the Valse Cafe Orchestra, an award-winning ensemble committed to the art of playing music for dancers. Dean loves the traveling dances and his passion is teaching the original Viennese waltz, which some like to call rotary or turning waltz. Since 2007 he has taught at the Century Ballroom, where he produces a fourth Sunday live-music dance called the Waltz Café as well as an outlandish Masquerade Ball each January. “My first goal in every class is always the same,” Dean says: “make it safe to screw up, safe to step on the wrong foot, safe to do even the simplest of moves completely wrong. Because only when you feel safe enough to make mistakes will you have enough confidence to take risks. 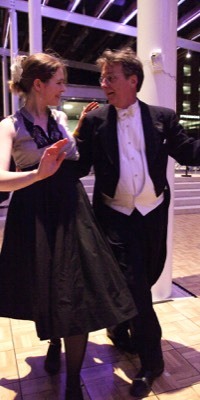 And taking risks is necessary to really learn effectively.” When he teaches rotary waltz, Dean stresses mastering the core of the dance — turning left, turning right, transitioning between the two – and then helps dancers use this foundation as a platform on which to build organic, graceful movement as well as a collection of elegant moves. Hallie is the owner of Century Ballroom and The Tin Table restaurant in Seattle, Washington. Since 1991 she has taught pretty much every form of social dance with the exception of Argentine Tango (for which you have to have prettier legs!). Currently she teaches Salsa and Waltz. She produces, co-choreographs and performs in Century's cabaret shows. Since 2005 she has been the co-instructor for NW School's Social Dance Program. Since 2010 she has helped produce the "Dancing With The Stars"-style fundraiser, "Seattle Dances," for Plymouth Housing Group. She has taught at Google, Microsoft, Team Survivor Northwest, EMP, University of WA, Cornish College of the Arts, Folklife and more schools and private lessons than she can remember. Her passion is Century Ballroom, her students, clients of the Ballroom and The Tin Table and creating a community that people will never forget. Zachariah learned how to waltz in the early 90s and he's been at it ever since. In 1999 he and a couple of friends started Waltz etcetera because there just wasn't enough waltzing to be had at any of the dances they went to. Waltz etcetera has been going weekly ever since, much to the delight of Seattle area waltz lovers. Zachariah is grateful he managed to outlive the "let's learn a ton of cool moves!" stage of partner dancing. Now he and his partner Lynn focus on teaching musicality, partnering skills, and dance as creative collaboration; everyone gets to learn both roles in their classes. 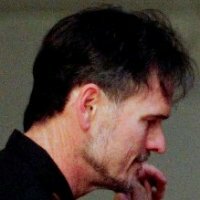 For details on the weekly dance and more about humane, open role dancing, visit us on the web at http://www.waltzetc.com/. 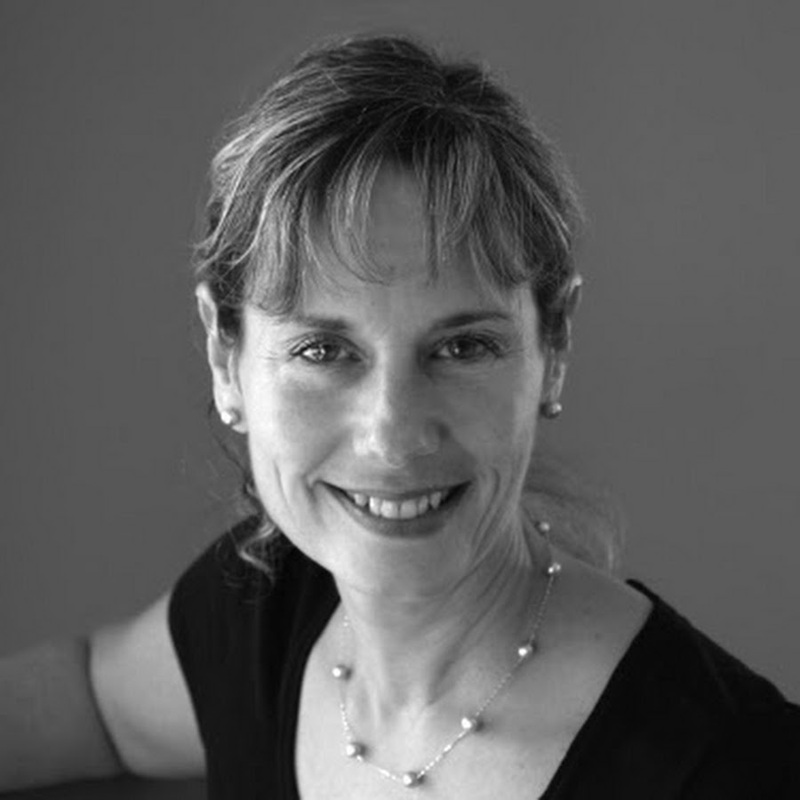 Lilli Ann Carey began partner dancing with Living Traditions in the 1990s and then went on to teach for them for several years before leaving to start her own company, Dance for Joy! 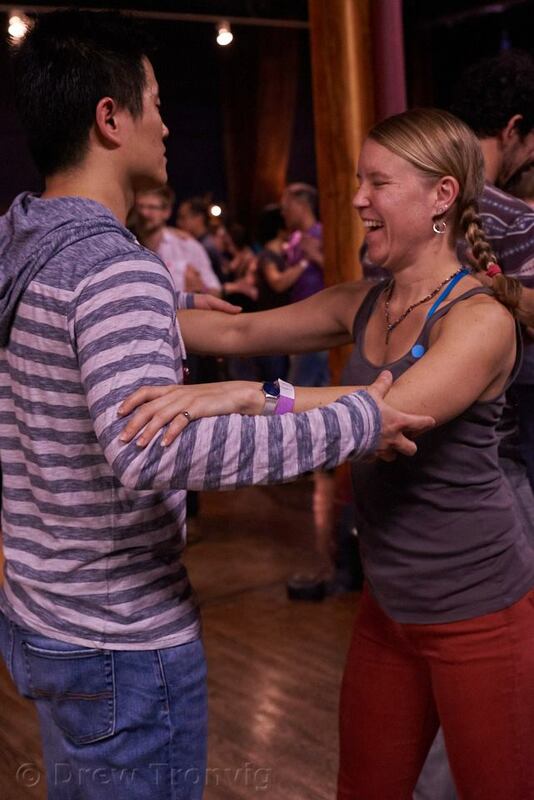 Lilli Ann loves to dance almost anything, but focuses her teaching on waltz, West and East Coast swing, zydeco, foxtrot, one-step, blues, fusion, and a few vintage dance forms. Lilli Ann promotes dance through classes, workshops, and events through her company, Dance for Joy! and is is currently also teaching for Northwest Dance Network. She is known for producing larger scale events including the An Evening in Vienna Viennese Ball and also coordinates the highly successful Dancing ’til Dusk program for Seattle Parks and Recreation. Lilli Ann has taught in Vancouver BC, Juneau, Alaska, D.C., Baltimore, Atlanta, in the Bay area, and in Portland. 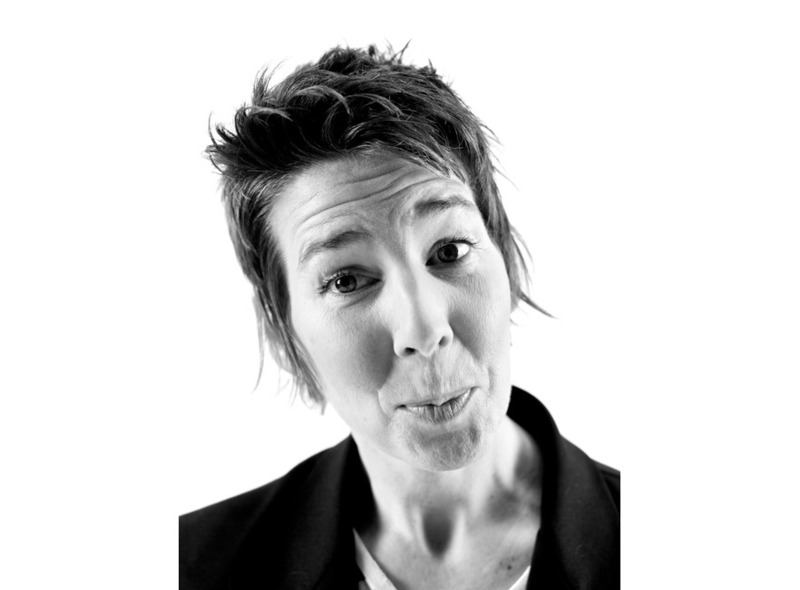 Her creativity, love of the connected and playful dance, and innovation has brought her national recognition and an ongoing and excited student base. You’ll often find her teaching with her daughter Claire.